Whats this? An all-new, stand-alone, one-shot comic book from one of our greatest living cartoonists? Christmas has come early! 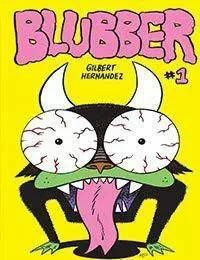 Featuring six mostly wordless, thoroughly surreal adventures featuring a cast of misfits, monsters, and anthropomorphs that could only spring from the id of the great Gilbert Hernandez, last years Eisner Award winner for Best Short Story!